Address Commemorative of Eugene Augustus Hoffman. Read before the Society, December 2, 1902. New York: Printed for the Society, 1903. A Memorial Biography of the Very Reverend Eugene Augustus Hoffman, D.D. (Oxon. 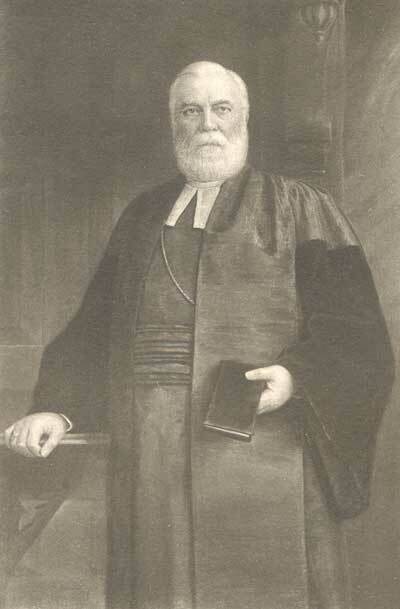 ), D.C.L., L.L.D., Late Dean of the General Theological Seminary. The System of Free Churches: Sermon Preached before the Congregation of Christ Church, Elizabeth Town, New-Jersey, on the First Sunday in Lent, March 5, 1854. New-York: Pudney and Russell, 1854. Daily Service: Being a New Year's Offering to the Parishioners of Christ Church, Elizabeth, N.J. from the Rector. New-York: Pudney & Russell, 1857. Parish Statistics of Christ Church, Elizabeth, N.J., and Fifth Annual Address of the Rector, Easter Monday, 5 April, 1858. The Weekly Eucharist: The "Old Path" and "Good Way" of the Church. The Eucharistic Week: A Manual of Devotions for Weekly Communicants. New York: H.B. Durand, 1862. Martyr President: A Sermon Preached in Grace Church, Brooklyn Heights, N.Y. on Thursday, 20 April, A.D. 1865, being the Day of Mourning Appointed by the Governor of the State after the Death of President Lincoln. New York: C. A. Alvord, 1865. The Legal Use of Church Bells. Philadelphia: Allen, Lane and Scott, 1877. Abounding in the Work of the Lord: An Address before the Church Club of New York, on the Anniversary of Its Organization, at the Celebration of the Holy Communion, in the Memorial Chapel of the Good Shepherd, General Theological Seminary, St. Andrew's Day, 1890. The Fortieth Anniversary of the Foundation of the Parish of Christ Church, of Elizabeth, N.J., 1893: A Sermon Preached by the Very Rev. Eugene Augustus Hoffman, D.D. on Easter Day, April 2nd; and a Sermon Preached by the Rev. Henry H. Oberly, M.A. on Low Sunday, April 9th. Elizabeth, New Jersey: Printed by Order of the Vestry, 1893. Genealogy of the Hoffman Family: Descendants of Martin Hoffman, with Biographical Notes. Memorial of the Hon. John Alsop King, Eighteenth President of the New York Historical Society, Read before the Society, February 5, 1901.